In order for a bill to advance, it must first be approved by a committee. Committees coordinate hearings so legislators can learn more about the bill from the public — experts, advocates, and community members. This is similarly true at the municipal level with city councils and council committees. State legislators and city councilmembers are no different than most Americans when it comes to shaping their views on complex issues like LGBT nondiscrimination, religious exemptions bills, or gender inspection bills. Like most Americans, many elected officials will not have considered the lives and experiences of their LGBT constituents before. But what we know is that when we present the lives and stories of everyday LGBT people, our allies, and other key voices, it is possible to shape their views — and ultimately their vote — in hearings. The most important thing to know when planning for a committee hearing is that they are commonly scheduled at last-minute. Constituents are given little notice when a bill is being scheduled for a hearing. Therefore, it is extremely important that, while developing your campaign’s spokespeople, that you’re also considering which spokespeople can be quickly converted into hearing speakers. Who should speak at a committee hearing? Before recruiting anyone to speak at a committee hearing, you should know which legislators support or oppose your bill, including their voting record on similar legislation, and understand what argument can help move them. Developing a roster of speakers that can address the key concerns of these legislators is easier once you understand what messages must be conveyed at the hearing. Generally, Republicans, faith leaders, and allies are essential in hearings on any LGBT bill. The voices of all LGBT people (but especially transgender people) who have experienced harm or discrimination themselves are some of the most influential voices in committee hearings. See our spokesperson guide for information about the best spokespeople to participate in a given hearing. How do I sign up for myself or others to speak at a committee hearing? This varies state by state, and the rules of the committee hosting your bill’s hearing. Find your state legislature’s website here and review the committee hearing schedule to identify the committee that is hosting your hearing. That committee typically provides information on how to testify at the bill hearing on their website. You can also call office of the legislator sponsoring your bill and ask them how to testify at an upcoming hearing. Before calling the bill sponsor’s office, it is important to have the bill name and number (i.e., House Bill 45 Florida Competitive Workforce Act, Senate Bill 120 Florida Competitive Workforce Act), and the date and time of the upcoming hearing. If you are working with a friendly state legislator, it is often possible to schedule multiple people to testify at a hearing through their office. What should I say in my remarks? All testimony should provide an explicit position for or against a bill. For general members of the public, it is best to focus remarks on personal stories and how a bill might affect their everyday life. For lobbyists and attorneys, including expert testimony on the legal and policy implications of a bill are welcome. For those with a personal story of discrimination, encourage them to share that experience if they are comfortable sharing that publicly. Better than any kind of witness, that personal context helps underscore the point that discrimination against LGBT people is pervasive and can be prevented with comprehensive legal protections. If several people from your community are testifying, coordinate your message to avoid duplicating remarks. Certain messages might be worth repeating, especially those messages that can influence a specific legislator. Limit remarks that don’t provide depth or complexity to how a legislator might understand an issue. Finally, it is customary to provide written testimony in advance of a hearing or on the day of the hearing. All witnesses should be prepared to share a written version of their testimony. How much time will be available to provide testimony? Plan and practice your testimony for no more than 2 minutes. All remarks should be brief and to-the-point. Committee hearings often limit the length of time available to each witness, and speakers will be cut off if they exceed their allotted time. Can I invite media to the hearing? Yes. 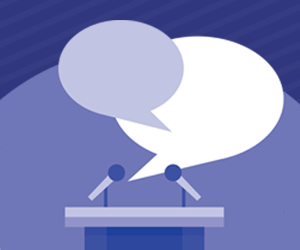 Hearings can be a chance to elevate your message in media and, if a prominent media presence is part of your campaign strategy, consider circulating a media advisory and calling local reporters before a hearing. Make contact with reporters that come to cover the hearing and make sure that a representative from your campaign — perhaps your leading hearing witness — is included in the news coverage. You might consider turning a speaker’s testimony into an op-ed after the hearing, or confidentially sharing written testimony with a reporter in advance of a hearing to generate interest.